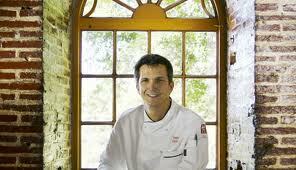 And Rust and Vrede is No 1 Restuarant, followed by The Tasting Room and Jordan. The most significant shift on the podium is David Higgs’s Rust en Vrede Restaurant, which went from last year's third place to being named Eat Out's Restaurant of the year where certified Sommelier Neil Grant does a fine job matching food and wine. Not too many of those in SA - apparently around a half dozen of the realsters. Winemakers had to submit Sauvignon blanc wines while the young winemakers were judged on their unfortified dry red cultivar or blended wines. 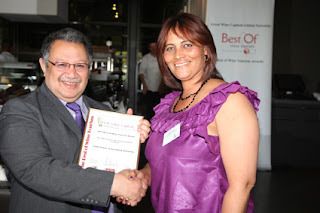 Diners Club celebrated the 30th year of the Winemaker of the Year competition and the tenth for young winemaker award. The first woman protégé of the Cape Winemakers Guild, Praisy Dlamini, has just completed her 3-year internship honing her winemaking skills under the mentorship of members of the Guild, and has secured her first full-time position as assistant winemaker. Praisy, who trained under the mentorship of Philip Costandius at Lourensford Wine Estate, David Finlayson at Edgebaston and Pieter Ferreira at Graham Beck Wines, will start her winemaking career as assistant winemaker across a diverse portfolio of wines at Distell. So I confess, even had I got some decent odds, I would have lost my bet (see http://huntergatherervintner.blogspot.com/2010/11/elderflower-discovered-in-oak-valley.html ) that Oak Valley 09 Sauvignon would have got 5 stars in 2011 edition of John Platter Wine Guide - it got 4,5 and highly recommended. No cigar, but a glass has consoled me - greatly. Zelda Petrus, a former cleaner at Steenberg Vineyards who now has responsibility for the winery’s front-of house cellar door sales, will soon be flying to California to learn more about wine sales and marketing in Napa Valley. This will be the first flight the Retreat-born widow and mother of one will be taking. Her week-long trip will expose her to some of the region’s top cellars and sales and marketing specialists, made possible by the Great Wine Capitals, a network of the world’s leading wine-producing countries who share international best practice in the name of advancing standards in wine tourism across the world. Around 8% of world population suffer from wine-related allergies but only about 1% of allergies relate to sulphur. Symptoms of wine allergy can range from headaches and stuffy nose to skin rash and a tight chest. But what triggers the remaining 7% of wine allergies remain a mystery. Or maybe not. The Journal of Proteome Research reveals a new study showing that glycoproteins (proteins with a carbohydrate molecule attached) might be the cause of wine allergies finding that as many as 28 of the glycoproteins found in an Italian chardonnay had a similar cellular structure to known allergens, including the proteins that cause reactions to ragweed, latex and some fruit including banana and kiwi. Molecular biologist Giuseppe Palmisano and his team are hoping that their work on the glycoproteins — many of which were identified for the first time — will help lead to the development of a glycoprotein-free wine. Van Ryn’s distillery close to Stellenbosch has just earned its third consecutive Best Brandy trophy at the 2010 International Spirits Challenge in London. This time, the honours for producing the world’s best brandy went to the 15 Year Old Fine Cask Reserve. 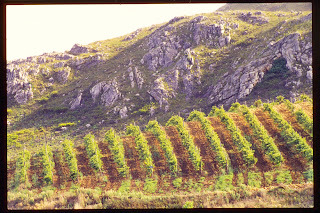 Mathieson, who is a world authority on international brandies and other grape-based spirits, and the founder and managing director of Eaux de Vie, a specialist spirits importer, based in the UK, believes South African brandies are becoming the standard-bearer for quality aged brandied produced outside the AOC regions of France. The sun sure is shining on Fleur de Cap - hot on the heals of 5 stars and white wine of the year (2009 noble late harvest aka noble rot) in 2011 ed of John Platter comes the news that they have been named South African Producer of the year at London’s 2010 International Wine and Spirit Competition (IWSC) after winning two Best in Class Gold medals for the highly acclaimed Noble Late Harvest 2008 and 2009 vintages. What next? A new botanical genus in their name? Fleur de Sol? If you go looking for it remember to ask for the Bergkelder Selection bottling. Reyneke, South Africa’s first biodynamic vineyard and winery, and Graham Beck Wines were the big winners at the Nedbank Green Wine Awards held in Cape Town today. The awards – held in association with Wine magazine - promote environmentally friendly wines and are given in two categories – for the Best Organic Wine as well as the Best Environmental Practice Award. 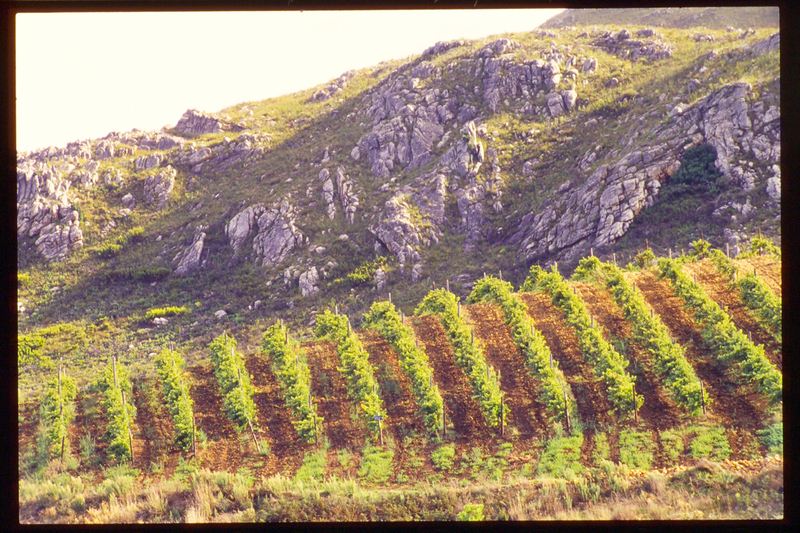 Following international trends, more South African consumers are trying organic wines for both health reasons and because it makes sense to support wineries that farm sustainably for the benefit of future generations and vineyard productivity. NEWSFLASH - we are all organic. Feeling better? Organic is one of those very modern and ancient words that at once brings a vaguely warm and fuzzy feeling with a sprinkling of confusion, but what does organic actually mean? Will you easily become a vital octogenarian if not a dodgy vegetarian if you go organic? You are already part of one definition as a carbon-based life form, although this could be a good time to check if your mate is also an earthling as I have recently come across growing numbers of Zoglodytes. Like it or not, you will also become part of another definition - matter that has come from a once-living organism, is capable of decay or the product of decay, or is composed of an organic compound, i.e. contains carbon. The shortest and strictest definition of organic viticulture is that it excludes all industrially synthesized compounds such as fertilizers, fungicides and herbicides as well as anything that has been genetically modified. But more widely would also mean excluding any practice that is harmful to the environment or unsustainable. Star shower in 2011 John Platter. 58 ja fifty eight 5 star wines in 2011 John Platter Guide (41 in 2010, 32 in '09). So 08 vintage not so bad after all or panel....oh and 2 MCCs! (Topiary & Villiera). 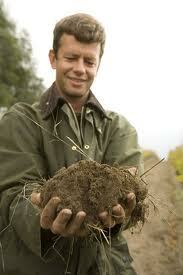 First 5 star biodynamic wine from Reyneke! Klein Constantia received 3, Steenberg, Graham Beck, Kleine Zalze and De Krans all recieved 2 five stars. All the rest got 'not paying attention' or 'try harder next year' or 'must repeat the year' merde impossible! Winery of the Year - Nederburg (and five, 5 star wines). Yesterday's launch of two limited range Zonnebloem wines at Rick's Cafe in Cape town was a lesson in cherry picking, smart wine making and food and wine pairing. Red winemaker Bonny van Niekerk, white winemaker Elize Coetzee and viticulturalist Anneline Viljoen. How can a wine crafted by these three be anything but gorgeous? 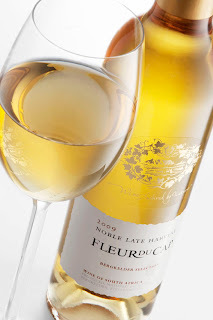 The Ltd Ed Sauvignon Blanc 2010 is a cracker and like so many in Wine Mag's top 10 Sauv Blancs, 75% of the fruit is from Darling (balance Helderberg, both vineyards with ocean views). This is a good example of a thoroughly modern style, intensity on the nose but with tangy palate weight rather than the leaner, racier styles (despite RS of 1.47 and TA of 6.98). 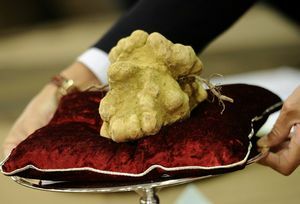 A giant (900g) white truffle was sold off on Sunday to a Hong Kong-based wine critic for €105,000 (R1 000,000) at a lavish auction near the town of Alba in northern Italy. Gourmets in Italy and beyond are licking their lips in anticipation of a bumper crop this year of the most prized culinary delicacy of all, the white truffle. The Piemonte region in northern Italy is reputed to grow the world's best white truffles – which connoisseurs describe as having aromas of garlic, hay, wet earth, honey, mushroom and spices - and aromas similar to pheromones that trigger a mating reflex in female pigs. Earlier in the season the climatic conditions had been described as “textbook," according to Giacomo Oddero, president of the National Centre for Truffle Studies in Alba, the centre of the truffle trade. “The first indications are excellent and suggest that we'll remember this year for a long time to come." Asiago e Adoro - Capeche? Cheese and wine maybe as old as the Flintstones but not – it seems - always a match made in heaven. 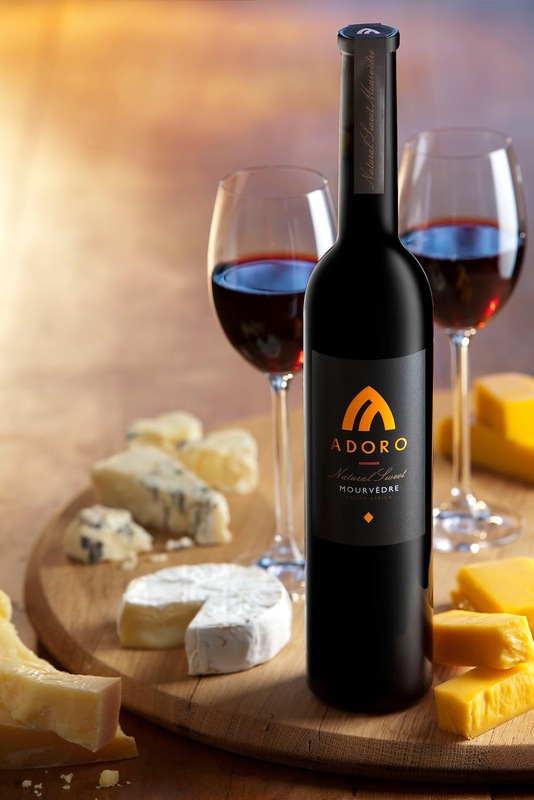 Usually matched with fortified or sweet wines, cheese also serves to make more disagreeable dry wines ‘makliker om in jou lyf te kry’ (easier to get into your body) as my viticulture lecturer used to say. The problems include the diversity of cheese, the coating of dairy fat that dulls your palate, and too many tight entertainment budgets marrying Chateaux de Cardboard with gaudy yellow Gouda. The classics include Port and Stilton, Champagne and Chevre (goats), Sauternes (noble late harvest) and Gorgonzola, where alcohol, acidity and sweetness respectively compete - but not always respectfully - with dairy's richness for a share of palate. Adoro winemaker Ian Naudé has crafted the ideal compromise, a natural sweet Mourvèdre that’s neither too sweet nor alcoholic with a frisky acidity and light framework of tannin which showed remarkable versatility with a range of cheeses last night at Cape Town’s L’Aperitivo restaurant. Its unofficial, the recession is over but dipstick research does not always give an accurate picture. My once favourite quick and easy check on how the economy is doing was to look at new car sales figures. My new favourite check – attend Cape Legend’s Night of a Thousand Glasses (or a Thousand Knives as one of the hacks said – that economy is really bad). If there is any doubt Cape Sauvignons age well it was dispelled by a vertical tasting of Oak Valley’s striking Sauvignon Blancs. Another growing school of thought is that – in cooler regions anyway – they can benefit from at least a year or two of bottle maturation before revealing all their beauty. All the wines displayed seamless palate integration that generally occurs best with natural acidity and balanced fruit. Another cool climate marker was the Elderflower aroma I found on the 06 although wind had reduced this vintage’s yield to a mere 1t/hectar. The common threads throughout were citrus – including grapefruit and lime – and steeliness or mineral character.